The London 2012 Olympics will be the biggest sporting event in Britain for generations, and it provides the perfect opportunity for some exciting motivational games for the call centre. Matthew Brown looks at how to set up an Olympic-themed call centre game. The run-up to the games is a great chance for call centre managers to create some fun and timely motivational exercises for agents to enjoy. Hopefully, doing so will spread a little of the Olympic feel-good factor around the call centre. Martine Gibson, an experienced contact centre sales manager, has arranged both Olympic and other sports tournament-themed contact centre activities during her career. The key to running a successful Call Centre Olympics is to mix physical events with fun. Gibson’s Olympics-themed game featured five-a-side football, but also a lot of smaller, fun events like space hopper races. Coloured tape was used to mark out courses for remote control cars to race around. There was an indoor sports day, which included sack races and egg-and-spoon races. “We went to places like The Early Learning Centre, which sounds a bit puerile and childish but you can pick up some quite good things for simple games,” said Gibson. These are activities that almost anyone can take part in, regardless of physical fitness. 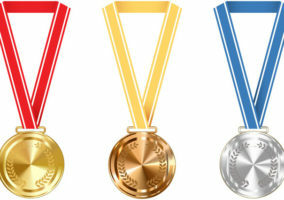 Some of these events can be held for the whole team, but it is important to have things going on throughout the day or week of the call centre Olympics. One particularly popular way to do this is to get an agent to bring in their Nintendo Wii games console. The Wii uses motion-sensor hand controllers, meaning that players are controlling games by making hand gestures similar to those they’d use if playing a sport in real life. For example, on the Wii Sports Tennis game, a serving arm-motion would be used to serve the ball. The Wii Sports game includes tennis, boxing, baseball, bowling and golf. Several other Olympics-themed games are available. All can be played by multiple players competitively. Simple games like these can be used as a reward for agents. 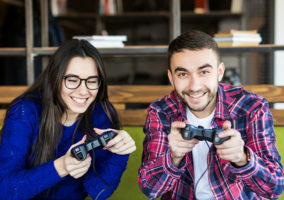 If they do well over a few hours, for example, they could be given a short break away from their desk to play a head-to-head game, and score points for their team in the overall Olympics if they win. Matching teams of agents to countries competing in the real Olympics will be a great way to create a sense of friendly competition during July and August 2012. Agents could draw countries out of a hat, and the number of gold, silver and bronze medals those respective countries win during the tournament could be used to add bonus point to each team’s performance in the call centre Olympics. Call centres with plasma screen TVs on the customer service floors could show Olympic events live, to give agents something to cheer about whilst working. Seeing world-class athletes in competition might also inspire agents to up their own game and deliver world-class customer service. The Olympic theme can be expanded upon to become a celebration of the culture of the various nations competing. Each team could decorate their working area in the style of the country they have been matched with. National costumes could also been worn by agents, and prizes offered for best branded area or team costume effort. Or points could be awarded towards the overall call centre Olympic competition. Gauging staff interest in a possible call centre game can prevent an idea falling flat on its face once launched. “It’s a good idea to ask a volunteer from each team to collect suggestions on behalf of that team and have a little working party or committee where people can bounce ideas off one another,” said Martine Gibson. No Olympics would be complete without the medal ceremonies. Every athlete wants their moment on the podium, and good customer service agents are no different. Genuine prizes can be a great way to motivate staff, but a proper medal ceremony is a great way to end the call centre Olympic Games on a high. Obviously real gold, silver and bronze are far too expensive, but novelty substitutes can be fun. Supermarkets sell plastic replica medals for a very low price – take a look at the party and children’s aisles for inspiration. Cheap medals are also available online – www.trophystore.co.uk has some from as little as 79p each. A call centre Olympics is an opportunity to improve a call centre. When designing a call centre Olympic Games, be sure to focus it around some of the company’s business targets. Use the mentality of excellence that surrounds the Olympics to raise standards amongst agents. “Think about objectives around customer service, around delivery of better numbers – directly link it into some focus period or campaign, rather than just a standalone with no context wrapped around it,” said Martine Gibson. A well-planned Olympic-themed call centre game could turn agents into gold medallists without costing a lot. Nice little bit of fun – i like the medal ceremony idea. Rewards like this are a fun way to incentivize and reward employees!